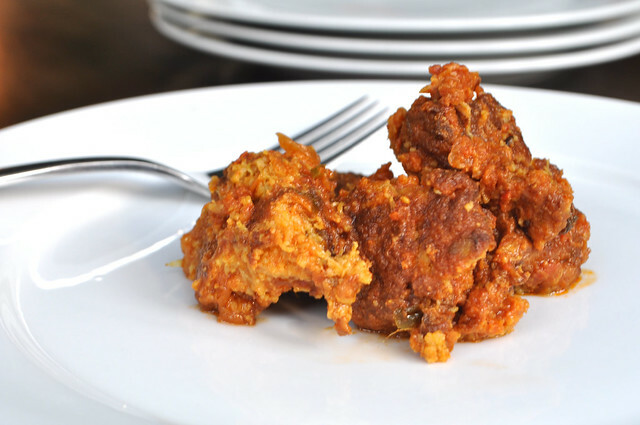 Shredded green zucchini koftas mixed with besan flour (chickpea flour or gram flour), minced green chili peppers and cilantro, red chili powder and salt then shallow fried until golden and tossed in a mild tomato masala sauce. A cool thing to do apart from paneer in tomato sauce. Looks good , a new idea!